Please see attached for the official results from last night’s Annual Town Meeting, including write-in results. 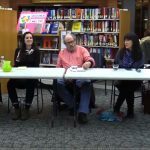 In a candidates forum on Monday, February 25th, the candidates for Brattleboro Town School Board were asked how they felt about students being elected to school boards and having an equal vote to theirs. Every one of the five candidates voiced their support for it, and each expressed a different benefit of the change. The Brattleboro Youth Vote is a town charter amendment that will be voted on as part of the March 5 election ballot. It will give 16 and 17-year old Brattleboro citizens the right to vote on town issues and candidates, be elected and serve on school boards (up to 2 on each), and be elected as a Town Representatives. Below is information that might be helpful to know for March 5th local elections. Attached is a sample ballot from each of Brattleboro’s three districts. All districts’ ballots are the same except for Town Meeting Members for each district. Absentee ballots are currently available at the Town Clerk’s Office and may be requested until 5:00 pm on Monday, March 4. Sample ballots can also be found on our website at www.brattleboro.orgunder Elections. You will have the opportunity to vote for Congress, Statewide offices such as Governor, County posts such as High Bailiff and State Senator, and your Windham District-1 rep to the legislature. At the town level, there is a contest for Justices of the Peace. Windham County Legislative Candidates’ Forum Tonight! 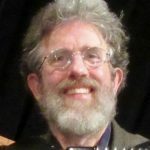 Windham County Legislative Candidates’ Forum on Health Care & Human Rights is happening tonight at the Centre Congregational Church parlor, 193 Main St., Brattleboro. Forum from 7-9 p.m. Doors open at 6:15. All Windham County legislative candidates have been invited & 10 have confirmed. 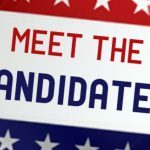 Opportunity to meet the candidates and ask questions about issues of concern to you. Light refreshments. Handicap accessible. Please see the attached for the “unofficial results” for Brattleboro Primary Elections. These are the results from the ballot tallies, not including write-in votes, and not including other towns’ results for the State races. Below is information that might be helpful to know for August 14thPrimary elections. Polling place for all three districts in Brattleboro is the Selectboard Meeting Room, second floor of the Municipal Center, 230 Main Street, Room 212, from 7:00 am until 7:00 pm. The center rows of the parking lot at the Municipal Center will be reserved for voters on election day. There are handicapped parking spaces close to the back entrance. At the next meeting of the Brattleboro Selectboard, the police will ask for approval of a contract for body worn cameras. Axon, of Scottsdale, AZ is the proposed vendor. The board will buy some police cruisers, hear a semi-annual report from the designated downtown organization, approve of grants for disc golf improvements and paving, review goals, and name a road. They will also begin a discussion election write-in procedures, and more. As always, you can bring up other items not on the agenda during public participation.